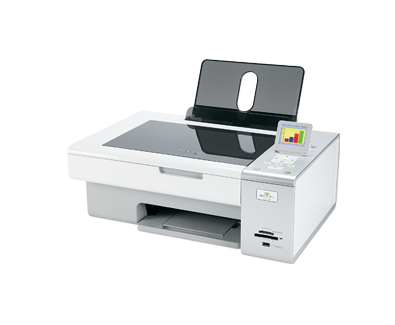 The Professional Lexmark™ X4875 Wireless All-in-One offers the convenience of wireless technology combined with efficient 2-sided printing. This All-in-One easily scans, copies and prints fast -- up to 30 ppm black and 27 ppm colour. (2) Connected to active PC, Purchase USB Flash drive separately. (1) Printer designed to utilize your network's security (WEP, WPA and WPA2) . Subject to the range of your wireless router and access to electricity. (5) Printing in draft mode and excludes time to first page feed. Visit www.lexmark.com for details. (6) Copied in draft mode and excludes time to first page feed. Visit www.lexmark.com for details.